Disney PIXAR’s Cars 3 opened June 16. My grandson is seven years old and the televised trailers did their job. He wanted to go see the movie. That was ok with me. The Fox broadcasters talked about it every week on NASCAR telecasts. Yes, I admit to seeing the first two versions as well. PIXAR knows animation, the video effects are stunning. Yes, the story is a little campy. But, there is enough comedy to make it fun. 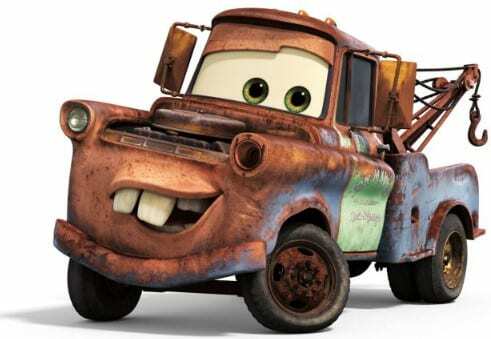 Larry the Cable Guy returns as Tow Mater. Owen Wilson as Lightning McQueen may be the star of the show. However, the toothy tow truck with the witty one liners steals the scene every time he rolls in. Rated G, Cars 3 is family fare. Underlying themes present positive messages that parents can discuss with children. Women can compete in a predominately male business. There will always be competition at every stage of life, how you respond determines your level of success. Inspiration can be derived from many sources, if you are open to it. Just as high-tech has driven competition in the Monster Energy NASCAR Cup Series. 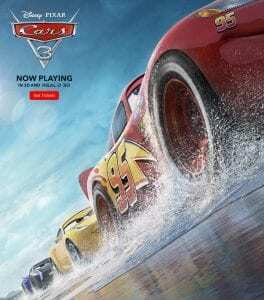 Technology has forced Lightning McQueen to confront his aging techniques driving on the Piston Cup circuit in Cars 3. Drivers using racing simulators is but one-way art imitates life. The young guns of NASCAR credit the advanced video game technology with race preparation. Track time in a simulator relates to improved performance on the racetrack. The movie pays homage to some of NASCAR’s greatest drivers. The King, Richard Petty, makes a cameo appearance. His son Kyle voices a contemporary of McQueen. Darrell Waltrip, better known to young people as a race commentator, plays that role perfectly. Jeff Gordon and his former crew chief Ray Everham have parts. 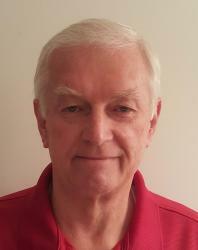 Junior Johnson, 85 years young, adds his distinctive southern drawl. The movie even includes a reference to the sport’s legendary moonshine roots. Broadcasters Mike Joy and Shannon Spake along with promoter Humpy Wheeler add to the dialogue. In keeping with the young gun vs older veterans story line, some of NASCAR’s budding stars earned parts. Ryan Blaney, Chase Elliott, Darrell Wallace Jr., and Daniel Suarez voice roles. The 25-year-old Suarez even admits to sleeping on a Lighting McQueen pillow as a boy. Other roles voiced by actors give tribute to NASCAR early legends. Wendell Scott, Smokey Yunick, and Louise Smith are venerated as River Scott, Smokey, and Louise “Barnstormer” Nash. The parody names themselves are entertaining. Ryan Blaney is Ryan “Inside” Laney, Daniel Suarez stars as Danny Swervez. Bubba Wheelhouse is voiced by Bubba Wallace, and Darrell Waltrip returned as Darrell Cartrip. Two more favorites; Mike Joy as Mike Joyride and Jeff Gordon as Jeff Gorvette. It’s all good fun and no doubt, given the Cars’ franchise exposure, the recognition is coveted by its stars. NASCAR too seems to have embraced the concept. If it moves young moviegoers into racetrack seats, look for the prospect of more cross promotion entertainment. The movie, I enjoyed it, give it three out of four stars. According to my grandson, “best movie ever.” Cars 4 is probably already rolling around the storyboards at Disney.